The 2013 National NOW Conference took place in Chicago, Illinois on July 5th – 7th, 2013. The conference theme was STRONGER TOGETHER… UNITED FOR EQUALITY, and it was indeed an exciting three days interacting with both women and men who projected attitudes of strength, hope and unity. I had the privilege to represent Contra Costa NOW at the 2013 National Conference, following is a brief summary of the conference highlights. 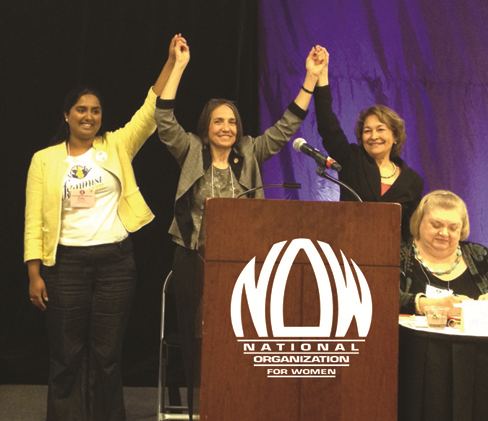 NOW President Terry O’Neill, Action Vice President Bonnie Grabenhofer and Membership Vice President Chitra Panjabi were elected by acclamation at the 2013 National NOW Conference. There were no nominations from the floor and the three leaders received a standing ovation from a crowd of over 200 attendees, for their outstanding dedication and contribution to NOW. The spirit of compromise and cooperation was wonderful to experience as NOW members worked together to determine current and future issues to address in the years ahead. The objective on all fronts was a focus on fairness and equality. A partnership of ideas was woven together representing the true fabric of democracy… a model our legislators in Washington could learn from. Following is a partial list of conference resolutions that were adopted to outline NOW’s current focus. It was noted throughout the conference, and visibly obvious, that NOW needs to engage a younger demographic of women between the ages of 17 – 34. Several generations of young women, who have reaped the benefits of NOW’s hard work in the 60’s and 70’s, may not remember the battle fought and won to control our own reproductive rights with Roe v Wade. It is shocking, that the hard won reproductive and rights of equality are now being challenged by politicians that would have us step back in time and return to the attitudes of the 50’s with respect to women’s rights. Politicians representing conservative constituencies seem determined to push their own personal agendas by any means that achieves their objective. 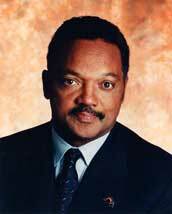 It is time to sound the alarm to all, and especially the younger generation who may not perceive the threat, to continue the fight, to defend the individual right to control one’s own destiny, to be treated fairly without prejudice and to receive equal opportunity regardless of race, gender or sexual orientation. Sound the alarm to get personally involved in the battle for equality. As presented at NOW’s first National Conference in Washington, D.C. on October 29, 1966, in the introduction to NOW’s Purpose Statement … “We, men and women who hereby constitute ourselves as the National Organization for Women, believe that the time has come for a new movement toward true equality for all women in America, and toward a fully equal partnership of the sexes, as part of the world-wide revolution of human rights now taking place within and beyond our national borders. The purpose of NOW is to take action to bring women into full participation in the mainstream of American society now, exercising all privileges and responsibilities thereof in truly equal partnership with men”. The echo from 1966 rings loudly in 2013. The National Organization for Women has a strong connection with Chicago… and is part of NOW history. Herman Berghoff immigrated to America from Germany in 1870, and ultimately landed in Chicago. The Berghoff’s, a family of brew-masters, sold beer at the Chicago World’s Fair in 1893 and opened The Berghoff, a restaurant and bar, near the center of the Chicago Loop in 1898, which became a Chicago landmark. The bar remained open even through prohibition by selling near beer and was issued Liquor License #1 after prohibition was repealed in 1933. The Berghoff maintained a separate men’s only bar long after most establishments ended the practice until 1969, when seven members of the National Organization for Women stood at the bar and demanded service, ending the discriminatory practice and transitioning The Berghoff to a fairer era where they still sell their prohibition near beer as Berghoff’s Root Beer. And to those seven NOW women, thank you, thank you, thank you… for the courage to show history that we are STRONGER TOGETHER… UNITED FOR EQUALITY.